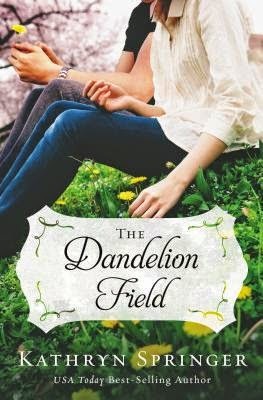 Get ready for Valentine's Day with a new story of romance and falling in love in Kathryn Springer's The Dandelion Field. The handsome firefighter makes a living “coming to the rescue,” but Gin is used to fighting her own battles. Can a woman who doesn't believe in happy endings take a chance on a new beginning? Celebrate a second chance at love and family with Kathryn by entering her Kindle Fire giveaway! Enter today by clicking the icon below. But hurry, the giveaway ends on February 15th. Winner will be announced February 16th on the Litfuse blog. This handsome firefighter makes a living coming to the rescue, but Gin doesn't need a man to fight her battles. After Raine s dad walked out, Ginevieve Lightly never lived in one place too long, a rambling lifestyle that defined her daughter s youth. When their car dies in Banister Falls, Wisconsin, Gin promises Raine they can stay until she finishes her senior year of high school. Gin will do anything to make sure her daughter has a bright future . . . a future that s compromised when Raine reveals she s pregnant. Dan Moretti has only ever called Banister Falls home. After losing his best friend in a tragic accident, Dan devoted himself to responding to fires, rescuing the helpless, and guiding Cody Bennett, his best friend's son, through life. With Cody being the epitome of the good kid, it was an easy job. Until he says four little words: The baby is mine. Knowing gossip of Raine's pregnancy will erupt sooner or later in the small town, Gin's reflex is to grab the suitcase and escape to a new city, a new life. But with each passing day, Gin's feet stay rooted in Banister Falls, and she falls a little more for this local firefighter who shows her not all men abandon women at the first sign of smoke. As Gin and Dan do the best they can to guide the two teenagers through their early entry into adulthood, they discover together that romance can bloom in the rockiest of situations. And God can turn the pieces of a broken past into a beautiful new beginning. Romance is always a weakness for me, no matter if it's real life or in a book. This book was a solid source of reality, romance, being caught between people and just trying to survive. The characters were not only solid, but they were real. They had real emotions and real reactions. As a parent, I read the parent/child interactions and wondered what my own relationship with my boys will be like in a few years. As a single mom who has been in a few bad places, I understood Gin's desire to grab a suitcase and run. As a person who has been there for others and somehow wound up in between people, I understood Dan's plight. I think everyone can find some part of a character and relate to it. The dialogue was wonderfully written and the story moved along at a pace that didn't feel rushed and it didn't drag. Overall, a wonderful book of courage, hope and love.